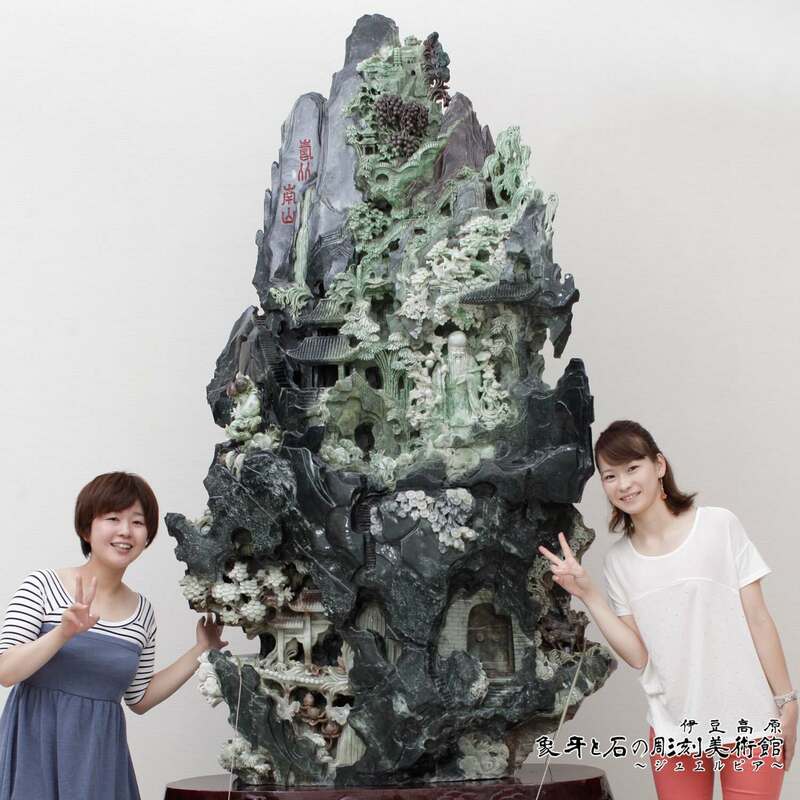 It's very rare to find such a big Huanan jade which produced as one rough stone. The weight is 1,800 kg, with the layer of green and the white, and it is said that there are only several of stone roughs more than 1 ton and this is the one of it. It looks like it's made of several kind of stones, but it's made of only one stone by using natural color of it. This is a landscape sculpture of stunning Huanan jade. Image Zoom. Please Touch the screen. The height of 220 centimeters Weight 600㎏. 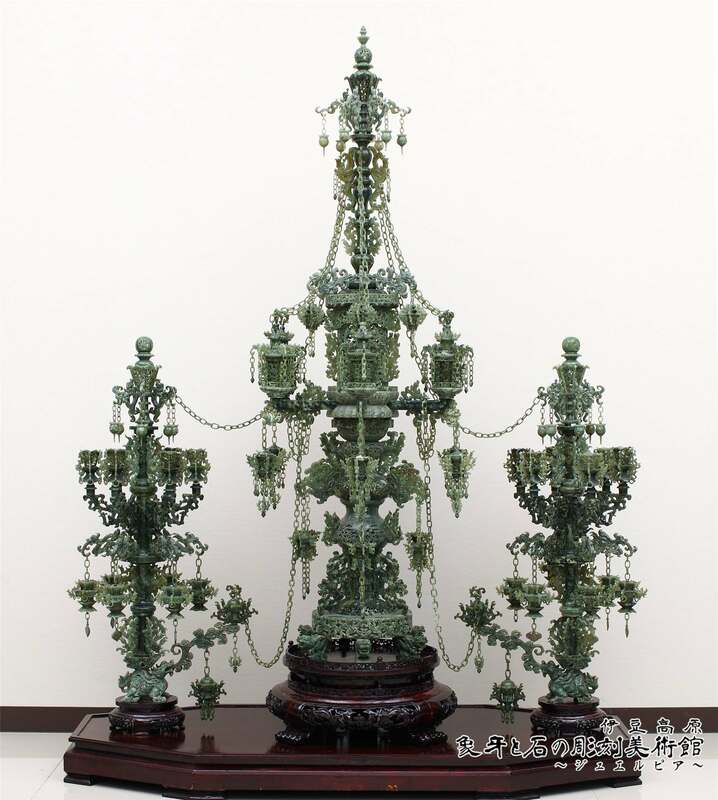 It's a modular thurible that has been carved from a huge jade . The chain is connectedly carved from one stone. 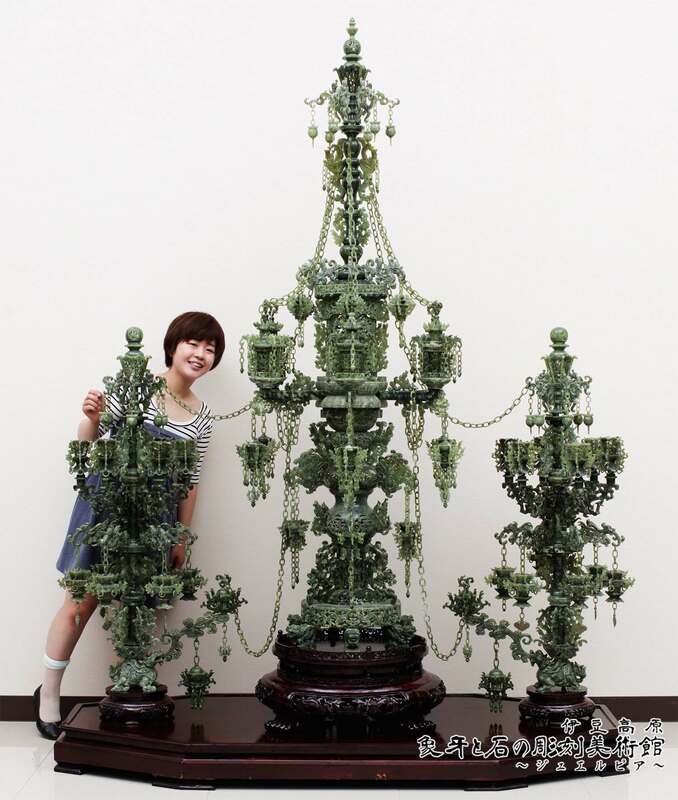 A tower of mother and child shows a bond and the blood relation, and jade is valued highly as a talisman. 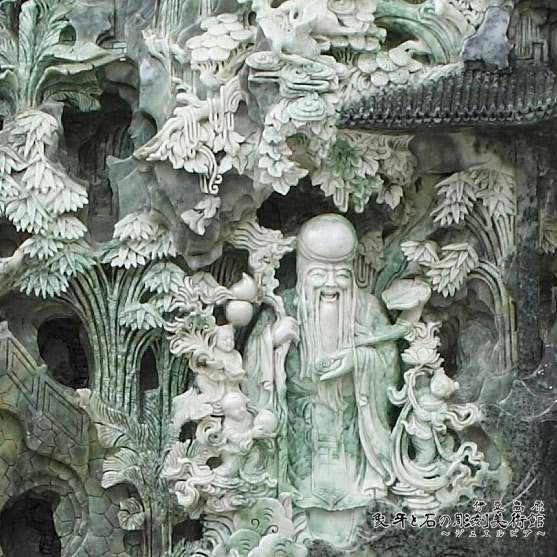 A beautiful stone is called "gyoku" in China and it's valued. Especially, Jade is highly valued. Even if I point at jade then saying "gyoku", it isn't exaggerated. 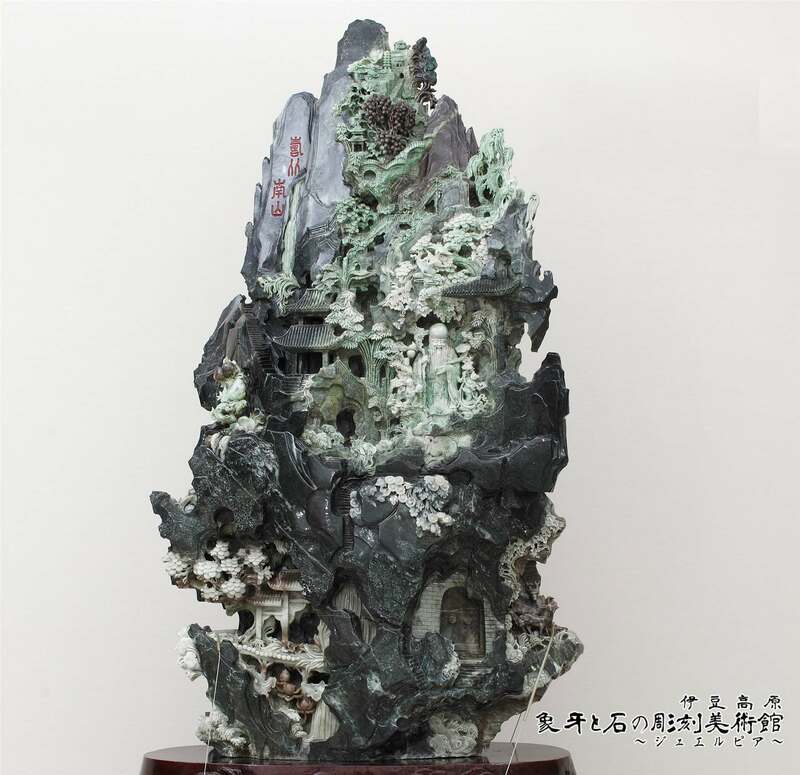 The jade is tough because of the organization of a small crystal which interlocked complicatedly inside, and it's difficult to break, and processing is difficult also, on the other hand, it's also the very good sculpture material. 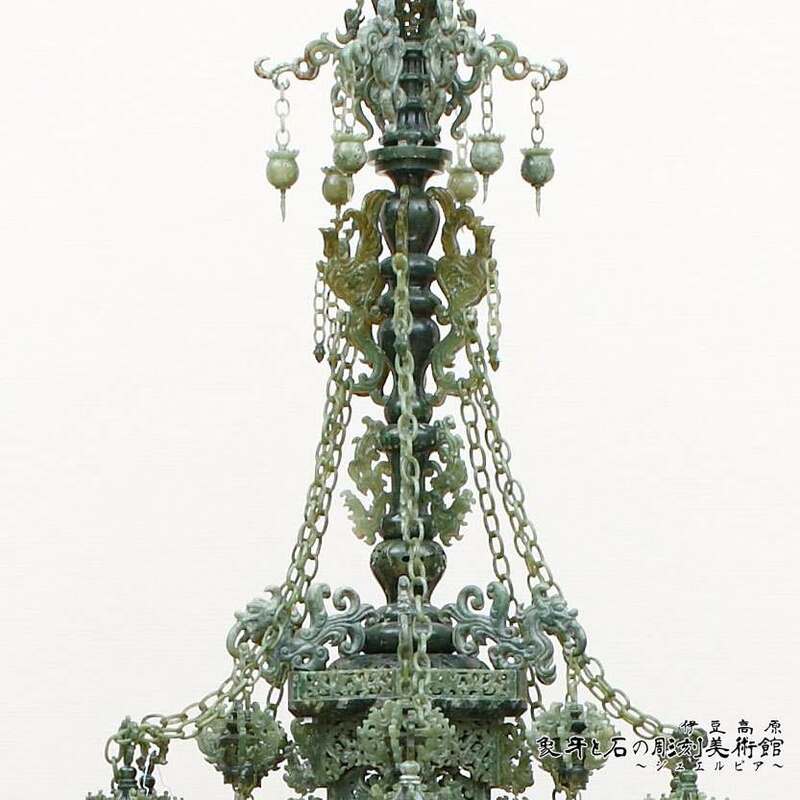 Jade was being used as the material of the sculpture for more than 3000 years in China. Their technology for carving may probably be called the world best. The chain which seamlessly engraved. The design which is so delicate. The expressive power of which I can't think as a stone. 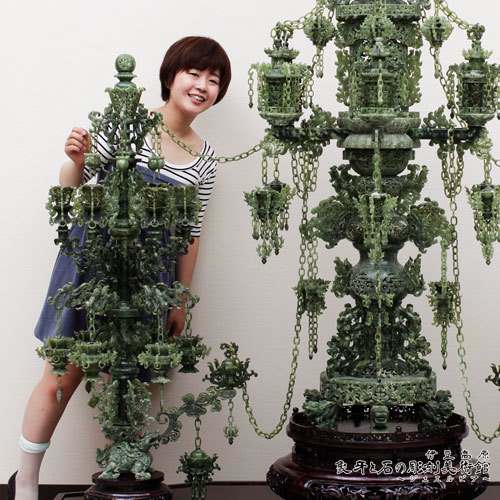 There are Chinese jade carvings can't be easily seen in Japan.